On the one hand, this means that SOAS scholars grapple with pressing issues – democracy, development, human rights, identity, legal systems, poverty, religion, social change – confronting two-thirds of humankind , while at the same time remaining guardians of specialised knowledge in languages and periods and regions not available anywhere else in the UK. This makes SOAS synonymous with intellectual enquiry and achievement. It is a global academic base and a crucial resource for London. The Centre of Islamic Studies, SOAS, where Curriculum for Cohesion is based, was established in 1995, and aims to promote scholarship and research in all areas of Islamic Studies, past and present. The study of the Qur’an and Hadith from the Arabic texts, and the analysis and translation of Islamic texts from Arabic into English form the core activities of the Centre. The work of Curriculum for Cohesion responds to the increasingly important remit of the Centre of Islamic Studies to research and understand the relationship of Islam and Muslims with the institutions and ideas of non-Muslim majority societies and to develop authentic Islamic ideas to reflect these new relationships. UCL Institute of Education is the number one centre worldwide for the study of education and related areas of social science (QS Education Rankings 2014). Curriculum for Cohesion’s link to UCL Institute of Education ensures that the project is grounded in the latest educational theory. 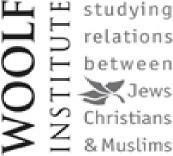 The Woolf Institute is dedicated to studying relations between Jews, Christians and Muslims throughout the ages. It consists of The Centre for the Study of Jewish-Christian Relations (CJCR), The Centre for the Study of Muslim-Jewish Relations (CMJR) and The Centre for Public Education (CPE). The Institute provides a stimulating learning environment for a diverse student body and offers a range of educational programmes in Cambridge and via e-learning. The Woolf Institute is also Associate Member of the Cambridge Theological Federation. The Cambridge Theological Federation brings together eleven institutions through which people of different churches, including Anglican, Methodist, Orthodox, Reformed and Roman Catholic, train for various forms of Christian ministry and service.